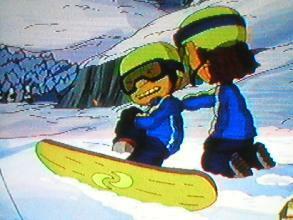 Summary: This is the movie that really got Rocket Power to its tremendous popularity! 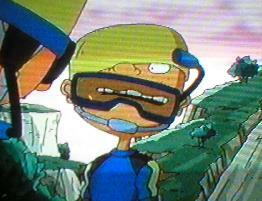 The movie has Otto and the gang go to New Zealand during the Wakikamukau Games. Everything seems all well, until Ray decides to use Otto as a pawn to get back at Chester McGill, who he lost to in the first Games. There's biking, windsurfing, zorb racing, skateboarding, snowboarding, and rafting. Together, the four overcome odds and become champions of the Games. Subplots include Tito trying to get Vegemite, a rare treat in New Zealand, and Reggie having to deal with Ray's inattention to her. Race Across New Zealand has a soundtrack with 5 songs, including Individuality, 99 Red Balloons, and the Rocket Power Theme! No DVD or VHS exists for this, but I'm sure they will come up with one in the near future, as this movie was the first of four, and really set the standard for the other 3.